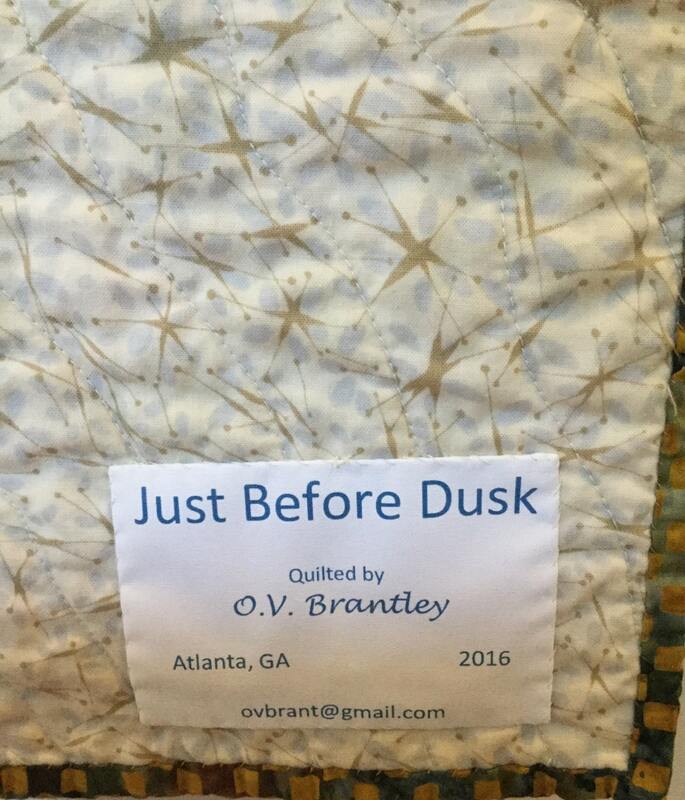 "Just Before Dusk" is a quilted wallhanging that evokes the feeling you get when you are watching the sun slowly fade while nightfall creeps in. 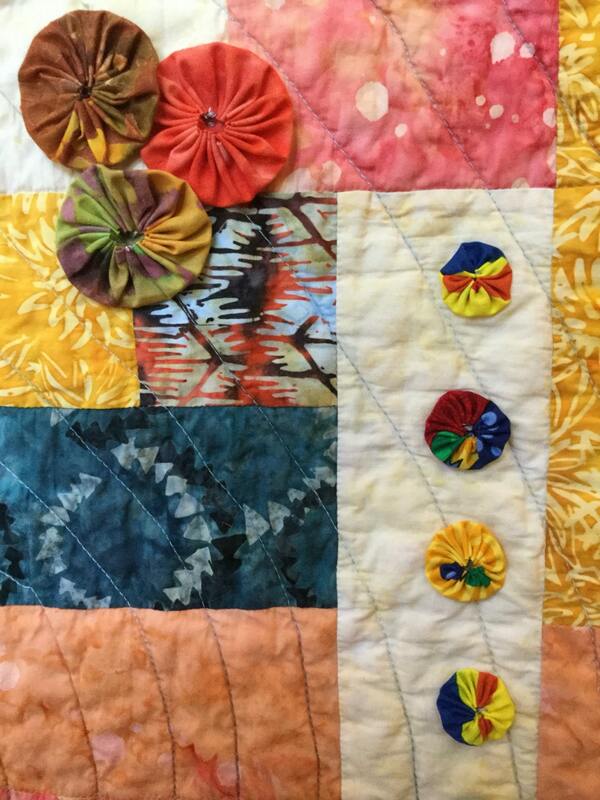 The batiks in oranges and gold are muted and the navy is spiked with starbursts. 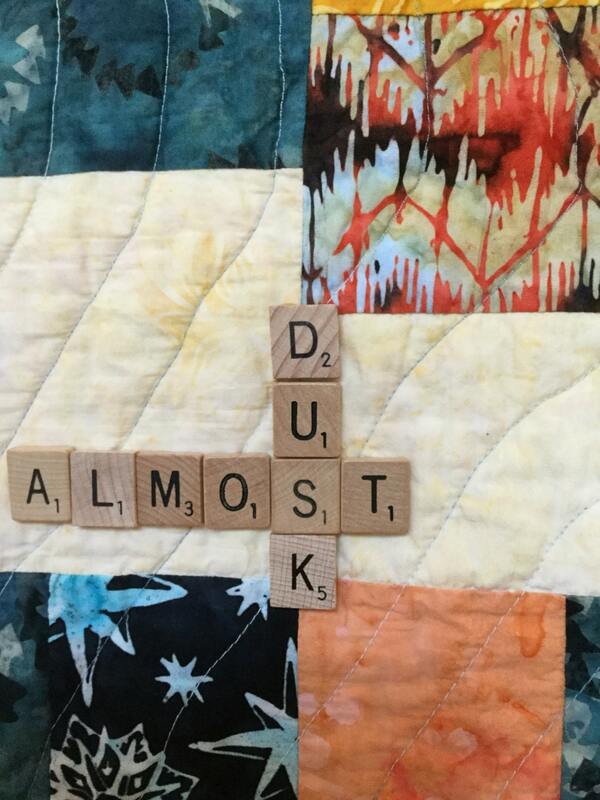 I embellished the front of the quilt with hand crafted yo-yos and scrabble tiles that spell the words "almost dusk". 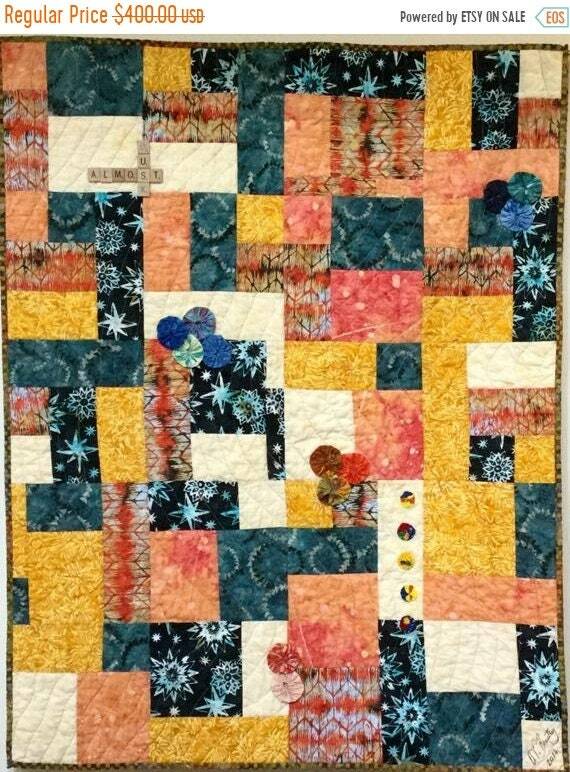 I pieced the quilt on my sewing machine and quilted it in a slow undulating, wavy pattern. The batting is 80/20 cotton polyester to make it soft while preventing fold lines. There is a hanging sleeve on the back for easy display and a label that documents the quilt. I signed it on the front. 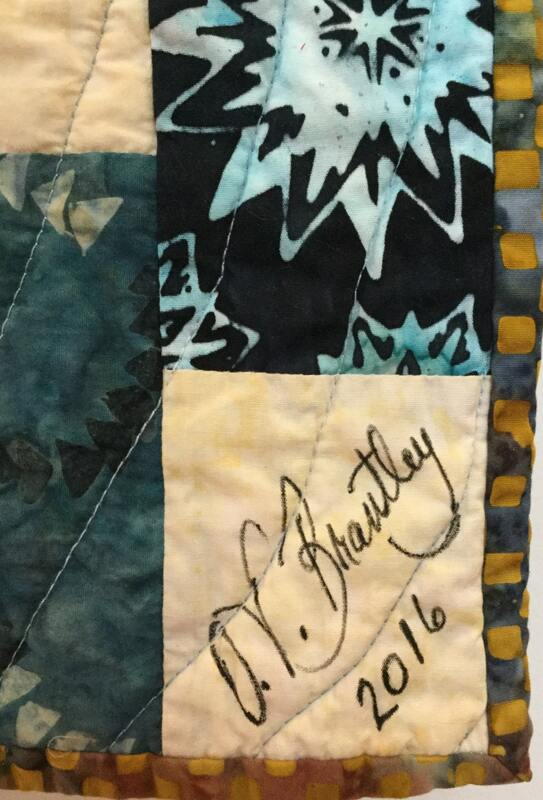 This quilt is one-of-a- kind.